The openSUSE Project has two seats for this year’s openSUSE board elections. Phase 0 has begun and candidates who have an interest in running for the board will need to notify their intent to run by Jan. 1. The window for openSUSE membership is also open. Apply for membership during a three-week window and be a part of directing outcomes in the project. Only members elect representatives to serve on the openSUSE Board for a 24 months term. 220 of the 469Â openSUSE members voted. We at the News Team wish the new board members all the best and Have A Lot Of Fun! Announcement of the openSUSE Board election 2010. Start of 5 week period to apply for an openSUSE membership (in order to vote). Start of 5 week phase to stand for a position in the openSUSE Board or nominate another opensuse member for the board. Notification of intent to run, and application for an openSUSE membership close (end of phase 0). Start of 1 week campaign for the candidates before the ballots open (campaign can continue until ballots close). All phases start and end on the given dates at 12:00 UTC. For an overview what time this is in different timezones use the links above. In this election we will have 2 seats to get elected, as the election period of Pascal Bleser and Henne Vogelsang ends. We will probably also get a new chairman, as Michael LÃ¶ffler will leave as well. 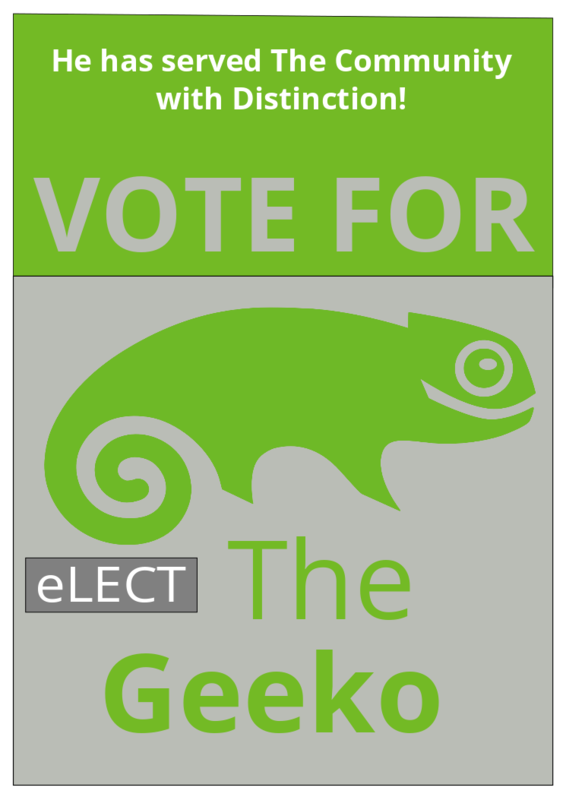 So in this election the openSUSE community elects two new members. With the existing company affiliations in the board (Pavol – Novell, Bryen – none, Rupert – openSLX) the restraint is that at most one of the additional elected persons can be affiliated with Novell and one with openSLX. Anyone can become openSUSE member after showing continued and substantial contribution to the project of any kind (bugs, support in forums, wiki edits, code contribution etc.). For those who don’t know what openSUSE Membership is or how to become a member I suggest to read this wiki article or older blogpost by Andreas. Some time ago openSUSE Board decided to delegate the membership handling process to so-called Membership officials. They review applications and give -1, 0, +1 points depending on user’s contributions to the project. Once user receives +4 resp. -4 points, the application is accepted resp. rejected. The length of this process depends on how much you write about yourself in the application. If you make your contributions vivid in this description, it’s very easy to verify them and you can become openSUSE member in a few days. In both cases, an email is sent automatically to the user informing about the result. If the membership is approved, additionaly admins are informed, so email/cloak/lizards account can be set up and Weekly News team can present the new members in the separate section in OWN. The officials team currently consists of 16 very active community members, who can be reached on email address membership-officials@opensuse.org and their list is in the mentioned wiki page. The seats up for election include one Novell-employed position and two non-Novell-employed positions. Pavol Rusnak is running for the Novell-employed seat and Rupert HorstkÃ¶tter and Bryen M Yunashko are running for the non-Novell seats. The election committee will declare the candidates as elected by end of Monday, 7th of December, if nobody else steps up in the respective group to run for the election. Otherwise we will have an election in that group. This means that if further candidates for the non-Novell seats declare candidacy, we will do an election for these two seats – and if further candidates for the Novell seat step up, we run an election for that one seat – and if candidates for both step up, we elect all seats. So, here’s the final call: If you’re happy with the three candidates, thank them – and if not, step up and declare your candidacy by announcing it on opensuse-project@opensuse.org and election-officials@opensuse.org. You can find more information on candidacy and the election in general here. The Election committee is also open for comments on the election before the December 7th deadline when the Election Committee will declare and certify the winners. We’d like to thank Bryen, Rupert and Pavol for stepping up and volunteering to serve on the openSUSE board. For next election the election committee will adapt the rules to cover cases like this one. As Thomas just announced on the project mailing list the election committee has decided to extend the period for announcing candidacy by one week to November 30. Same applies to request openSUSE membership status which makes you eligible to vote. With this change the period for candidates to campaign gets shortened by one week to start just one week prior to opening of the ballots. Start date of the election stays Tuesday December 8. Reminder: Second openSUSE Board Election Deadline Approaching! 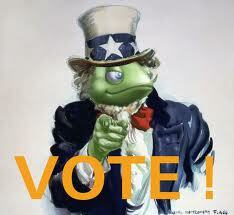 The time has come again for openSUSE Members to vote for new members to the Board. Stephen Shaw (decriptor) and Bryen Yunashko (suseROCKS) have completed their tenure on the Board, and their seats are up for election. There is also a new seat available to be occupied by a non-Novell member. Henne Vogelsang (henne) and Pascal Bleser (yaloki) have another year to complete and will remain, Michael LÃ¶ffler (michl) as chairman will remain as well. This means that as of this year’s election the openSUSE Board will be made up of equal numbers of Novell and non-Novell employees, 2 seats+Chairperson and 3 seats respectively. Candidates for this election will be voted in for a two (2) year term, ensuring that there is continuity within the Board. Start of 4 week period for non-members to apply for an openSUSE membership (in order to vote). Start of 4 week phase for members to stand for a position in the openSUSE Board. Notification of intent to run, and application for an openSUSE membership close . Start of 2 week campaign for the Board Candidates before the ballots open. Candidates may campaign until the final bell when ballots close, should they wish. Should anyone have any questions, you can contact the Election Committee by emailing election-officials@opensuse.org or speaking to one of the members on IRC. It is best to always email the committee even if you speak to someone on IRC. Full details of the election can be found on the wiki here. Prospective candidates are highly encouraged to read this lwn.net article on some of the tasks required of Board members. Stephen Shaw (decriptor) and Bryen Yunashko (suseROCKS) have completed their tenure on the Board, and their seats are up for election.Â There is also a new seat available to be occupied by a non-Novell member.Â Henne Vogelsang (henne) and Pascal Bleser (yaloki) have another year to complete and will remain, Michael LÃ¶ffler (michl) as chairman will remain as well.Â This means that as of this year’s election the openSUSE Board will be made up of equal numbers of Novell and non-Novell employees, 2 seats+Chairperson and 3 seats respectively.Â Candidates for this election will be voted in for a two (2) year term, ensuring that there is continuity within the Board. Start of 2 week campaign for the Board Candidates before the ballots open.Â Candidates may campaign until the final bell when ballots close, should they wish. Should anyone have any questions, you can contact the Election Committee by emailing election-officials@opensuse.org or speaking to one of the members on IRC.Â It is best to always email the committee even if you speak to someone on IRC.Â Full details of the election can be found on the wiki here.Â Prospective candidates are highly encouraged to read this lwn.net article on some of the tasks required of Board members. So the polls are closed now and all votes have been accounted for and confirmed valid, and we are now proud to announce the election results! The openSUSE project would like to welcome the first community elected board, and would like to thank all voters for taking the time to use their vote. The new board members are, from the Non-Novell side of the community Pascal Bleser and Bryen Yunashko and from the Novell side we have Henne Vogelsang and Federico Mena-Quintero. We are proud to announce that Michael LÃ¶ffler has been appointed by Novell as chairman of the new board. Being the candidates with the most votes in their category, Pascal and Henne already agreed to serve the board for the next two years. Bryen and Federico have been elected for one next year, hence the next election will take place about the same time next year. The election committee would like to congratulate them on their election and wish them all the best in steering our fine community and project. We would also like to thank all of the candidates for their interest in serving on the board, and we’re proud to have so many excellent candidates to choose from for the board. A total of 75.11% (178 of 237) voters participated in the poll. Voters had the option of casting two votes for each category, for a possible total of 356 votes per category for the election. Some voters, however, choose not to use both of their votes for each category. The final count does not convey how close the election was in some parts, but it does show that the openSUSE community is committed to ensuring that they take a stake in their own project and that the understand that to make the project prosper they need to be active.